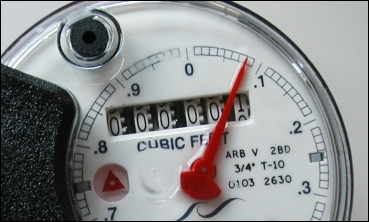 DEP is automating its water meter reading capabilities to increase billing accuracy and provide customers with the tools they need to better manage their water usage. The Automated Meter Reading (AMR) system consists of small, low-power radio transmitters connected to individual water meters that send daily readings to a network of rooftop receivers throughout the city. In most cases, the transmitters are placed where water meter remote receptacles are currently located. The AMR receivers are part of the Department of Information Technology and Telecommunications’ (DoITT) New York City Wireless Network (NYCWiN). This new AMR technology sends readings to a computerized billing system up to four times a day and will largely eliminate the need for estimated bills. Since it is an automated system, AMR eliminates the need for meter reading personnel to visit customer properties. DEP is also providing AMR-installed customers with an online application that lets property owners view and manage their consumption on a daily, weekly, monthly, and yearly basis. This application will be made available to residents of each borough on a rolling basis. If AMR has been installed on your property you will be able go online to register and view your consumption. To register to view your water usage online, click here, or select the My DEP Account button at the top of the page. Once you have registered through My DEP Account, you can return as often as you like to track your water usage, your water meter reading history, and your payment and billing history online. This new tool will help you to manage your water consumption, including detection of any irregular patterns that could indicate a leak, or other problem with your account. To assist in the registration process, we have posted brief instructional videos online. DEP contractors continue to provide door-to-door installations of the AMR transmitters at no cost and will also be replacing some old water meters. The installation of the AMR system for all 834,000 DEP customers will take approximately three years to complete. AMR is a key part of DEP's ongoing transformation of the Bureau of Customer Services (BCS). As part of this initiative, customer service and billing practices have improved significantly, with more robust, accurate and easily accessible information now available to all 834,000 water and sewer account holders throughout the City. Residents are reminded that all DEP contractors providing door-to-door free installations must carry and show photo I.D. cards and badges and are in uniform. Browse frequently asked questions on what AMR is, the installation, and what it means to New York City residents. Find out who to contact to schedule installation of the AMR device.